We've really only heard good things about Melissa & Doug products and have been very happy with the few that Catherine does have. 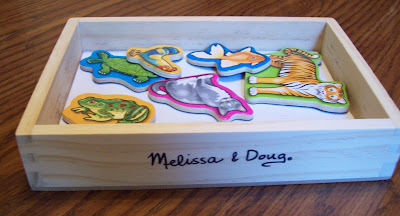 (Her Melissa & Doug Large Shapes Jumbo Puzzle is a favorite!) I especially appreciate the hardy wooden construction that tend to characterize the M&D products that I've seen. These magnets are cute, although the actual artistic quality of the animals leaves something to be desired. The fish set that Catherine has is from Shure Farm MagnaWheels and those pictures appear to be of a higher quality--i.e., less cartoonish and more realistic. Obviously, this doesn't affect the quality of play. 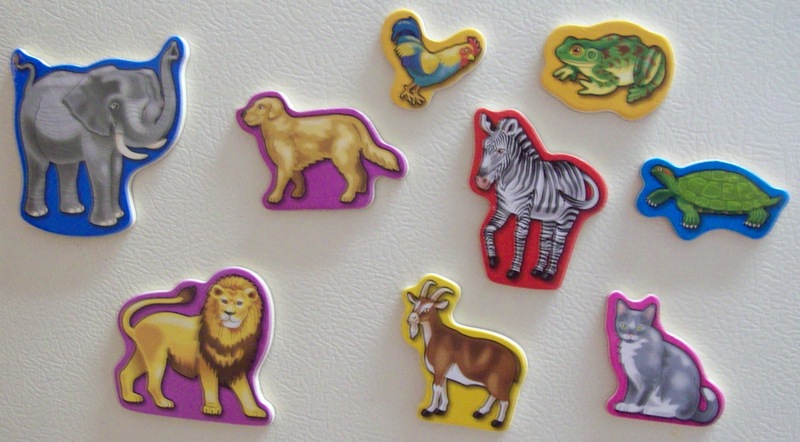 Catherine is out of the chewing on everything stage, but if she weren't I would keep these away from her. I would be afraid of her destroying them very quickly. While they are wooden they are not very chunky or "heavy duty" like the before-mentioned Large Shapes Jumbo Puzzle. I believe the biggest negative of this set is that the "storage" box doesn't have a lid. As a Mommy that is constantly losing the battle against clutter I would prefer all toys to be able to be packed up nicely. There was a cheap plastic packaging piece under the original shrink wrap, but it certainly wasn't a lid and wouldn't work to keep any items inside! It's a shame too, because the box is a very nice wooden one. Overall, this is a very nice product. 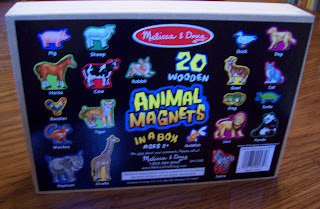 The animal magnets have been, and I am sure will continue to be, a great learning tool. Most importantly, Catherine enjoys playing with them! All views and opinions are exclusively my own. I did not receive any form of compensation for this review. This product was purchased by me as a birthday gift for my daughter. Some links on this page are affiliate links. Click here for more information on my disclosure policy. 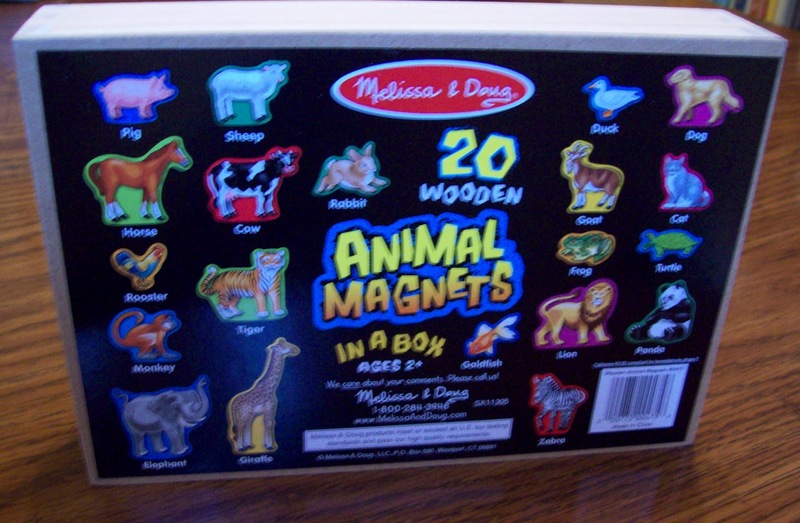 I also love Melissa & Doug products. We have the art easel, some puzzles, stamp sets, etc. I never thought to look for something like this, so thank you for the idea and the descriptions! I was thinking of doing a magnetic wall in my boys room and these would be perfect!